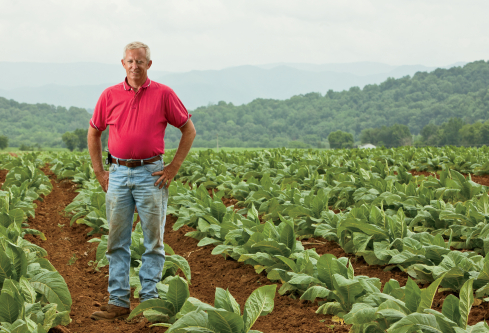 Farm Work: In addition to his own farm, Chester also works for Fowler Farms, a 5,000-acre corn, soybeans, and wheat farm owned by Larry and Keith Fowler. He began working for them 18 years ago while a student at the University of Tennessee at Martin. After graduation, he became a full-time employee and has been heavily involved in the day-to-day operations of their farm ever since. For me, it’s all about a tiny seed, a kernel of corn. It amazes me every year. I love planting a seed in fertile soil, watching it emerge, unfold to begin its life cycle, providing it nutrients to sustain itself and eventually reproducing more grain. I also enjoy pulling into the pasture to see a newborn calf standing on four wobbly legs, getting its first taste of mother’s milk. Working closely with nature is exciting for me. It’s a great way to raise a family and have passion about what you do on a daily basis. What about your farm makes you most proud? I love the farm. I always have. There are several things I am proud of, but ultimately, I am proud I have had the opportunity to start farming on my own. 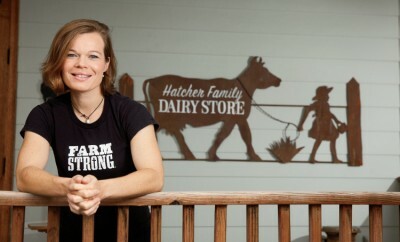 I grew up on a dairy in Sweetwater and spent the majority of my spare time there when I wasn’t busy with my education. After attending college at UTM and deciding not to return to my family’s farm, I wondered if I would ever be able to start farming on my own. With the help of a few key individuals, I’ve done it. That is what I’m most proud of. You have been involved in Young Farmers and Ranchers for a long time, serving on the national YF&R board and winning a national award. Why is YF&R important? YF&R has been instrumental in molding me into a better farmer, leader and advocate for agriculture. I can’t imagine my life the past 14 years without YF&R. The exposure the Farm Bureau YF&R program gives its members in policy development, county and state leadership positions, and direct contact with elected officials are second to none. 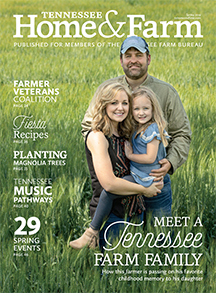 YF&R has given me the tools to stand up for agriculture in a unified voice with my fellow young farmers and ranchers from across Tennessee and the U.S. Joining is the hard part, but getting involved is easy. I was very hesitant about the program when I attended my first county meeting several years ago, but it didn’t take long to realize there are many young farmers just like me, experiencing similar issues. YF&R is a safe haven for young farmers to enjoy fellowship and prepare themselves for future endeavors on and off their farms. Do you think it is important to tell your story? Yes! I cherish the opportunity to tell someone about my farm and farming background. I am proud of what I do and love sharing my excitement about agriculture with others. Talking to others about what we do on our farms is the gateway to our future. Consumers are eager to learn about our farms and farming practices. The opportunity is present for us to speak for ourselves and not let someone else provide false information. Taking the time to visit with consumers is vital to our success. What is your biggest struggle/challenge? 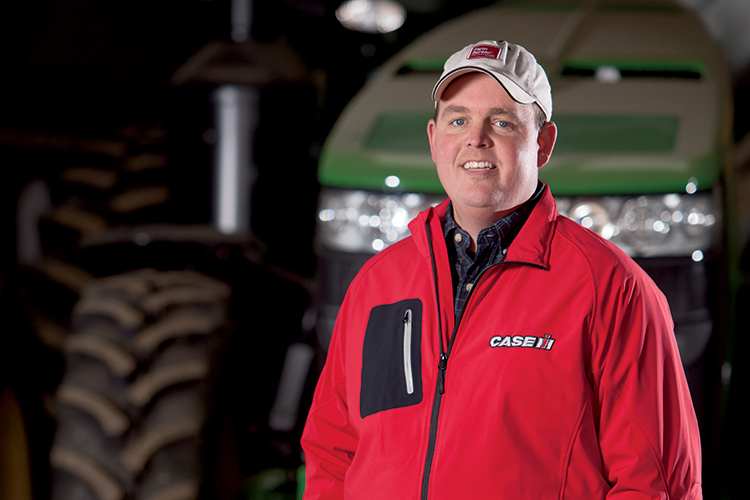 Farming today is about capitalizing on certain opportunities. It’s a challenge to know which opportunities deserve a pass and which ones are golden. Many times, I don’t know until after time has passed whether I made the right decision, but I know each challenge represents a perfect opportunity to learn a valuable lesson. As a young producer, it is often difficult to compete with older, stable producers who have been involved within the realms of local agriculture for many more years than me. Young farmers, like myself, are eager to be progressive and take costly risks. Sometimes it is a struggle to let an opportunity pass by, not knowing whether I could or could not incorporate it into my farming operation. You have two children you are raising on the farm. Will they become the next generation of farmers in your family? I hope I can provide Mary Anna and Lake the opportunity to become the next generation to farm if they choose to. Farming is definitely a family affair, and I thoroughly enjoy having my children with me on the farm. I have learned numerous life lessons on the farm and love watching my children see how things grow and change on the farm. I would welcome the opportunity for each of them to join me on the farm after they complete their education. What advice would you give someone interested in agriculture today? Get involved in both agriculture and non-agriculture organizations off the farm. Farming is about more than us and our farms. It’s about providing a quality product that can be used by consumers or in other facets of agriculture production. Being involved off the farm gives farmers and agriculture businesses alike opportunities to collaborate and make themselves and their products better for the future. Farm Bureau represents all commodities and is a great place for individuals interested in agriculture to start. This young man comes from a wonderful family. Very diserving honor being recognized in your publication. Our country needs more people like John. His father Rick would have been proud. John was an outstanding biology student for me at McMinn County High School. Your article reinforced my expectations of the service and accomplishments that John would achieve. I am so proud to have been one of his teachers. John’s Father was an outstanding member of the Athens community while he was alive, and his Mother continues to serve her community to this day. Im interested in growing hybrid bermuda for pasture and hay, what recommendations if any would you offer good or bad with my forage selection?